We host this course annually in March. Sign up here to get notifications when our next class is starting. On this list you will also get early access to special pricing and VIP offers. Have the support of an engaged entrepreneurial community during the class. Our message boards live on well past class graduation so alumni can stay in touch and accountable. 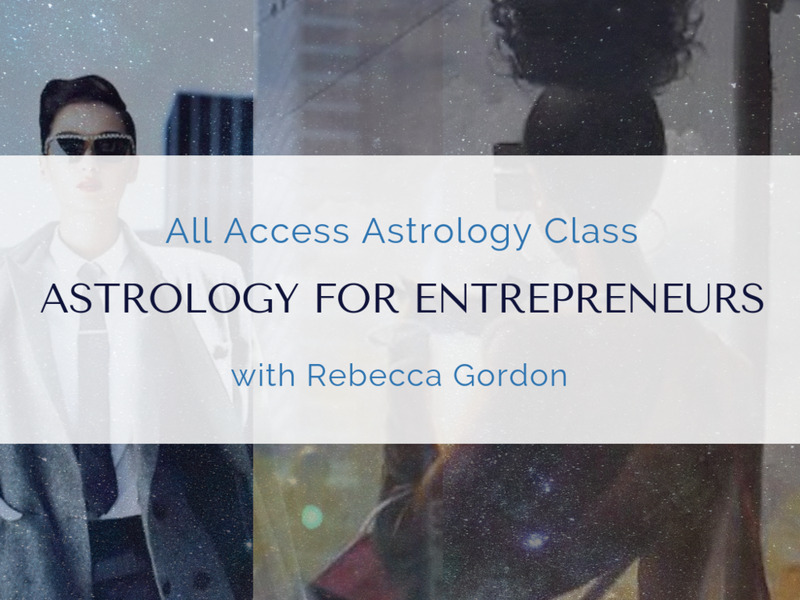 This class is open to everyone (so no prior background in astrology is necessary). In this 4 week intensive, you will learn how to spot your own signatures for success in the birth chart while managing your challenges on the job. Learn the ins and outs of your career archetype so that you can thrive, while hiring out where necessary for your unique chart balance. You will learn the patterns can hold you back in business and how to master them. This course is designed to show you how to access that zone of genius that is unique to you and your stars, while delegating out the rest. In our final classes, you will learn how to use the cosmic cycles so that your life and business will be aligned for a year of stellar success. All Classes Will be Live Online Weekly, and stored for you in our Astrology School Software so you can always go back to and re-watch all lessons. If you miss a class, the video and audio will also be available to watch / download at anytime along with complimentary materials. Zoom Live Classes are always on Thursday nights. You can write in chat box during class and also speak to ask questions. Enjoy access to the Q&A message board for each class even after graduation. It is a place where you can share your assignments, insights, and post questions.